يشكل فندق فندق وينتورث بلازا بموقعه الممتاز في قلب مركز مدينة بيرث نقطة انطلاق ممتازة لاستكشاف برث. لا يبعد الفندق كثيراً عن مركز المدينة، فهو يقع على بعد منها. في حين يستغرق الطريق منها إلى المطار حوالي دقيقة. إن سهولة الوصول من الفندق إلى المعالم السياحية الشهيرة الكثيرة في المدينة كمثل ‪Wesley Uniting Church‬, Margaret River Chocolate Factory, Perth City Concept Store, Essential Beauty Raine Square هو استثنائي بحد ذاته. إن فندق وينتورث بلازا حريص على توفير الراحة للنزلاء، فلا يوفر الموظفون جهداً في تقديم أفضل الخدمات وضمان حسن الاستقبال. هذه بعض الخدمات الموجودة في هذا الفندق: مكتب الاستقبال على مدار الساعة, تخزين الأمتعة, خدمة الغرف, مطعم, جرائد. ادخل إلى واحدة من الغرف 88 وتخلص من عناء نهار طويل بمساعدة مجموعة كبيرة من الخدمات كمثل تلفزيون بشاشة مسطحة, اتصال لاسلكي بالإنترنت, غرف لغير المدخنين, مكيف هواء, خدمة الإيقاظ الموجودة في بعض الغرف. كما أن مجموعة الخدمات الواسعة الموجودة في الفندق لضمان راحتك تترك لك الكثير من الخيارات لقضاء وقتك أثناء فترة إقامتك. إن كنت تتطلع إلى إقامة مريحة وهادئة في برث، فستجد في فندق وينتورث بلازا بيتك الثاني. موعد تسجيل الخروج هو 10:00 صباحًا وأي تسجيل خروج بعد هذا الوقت يترتب عليه دفع رسوم. The hotel has a bit of old style charm. Basic, but exactly what you need in a budget hotel. Safe, secure and clean accommodation. The staff were very friendly. We had a peaceful nights sleep. Bed was ok, pillows a bit thin, but the room was adequate with a bar fridge, coffee making facilities and a large tv with a free selection of foxtel channels as well as all the free to air channels. Location was very central to the shopping malls, train/bus stations and a short walk to Northbridge for restaurants and entertainment. Quite happy overall and would stay again. Love this place! Although it's my first time staying in a common toilet/shower facility hotel, I didn't find it at all inconvenient. The level of cleanliness and security is great! Love the size of the room and the entire hotel layout. Homely. Everything is good! The staff performance is beyond my expectation for a 3-star hotel! Will definitely stay here when I'm back in Perth! 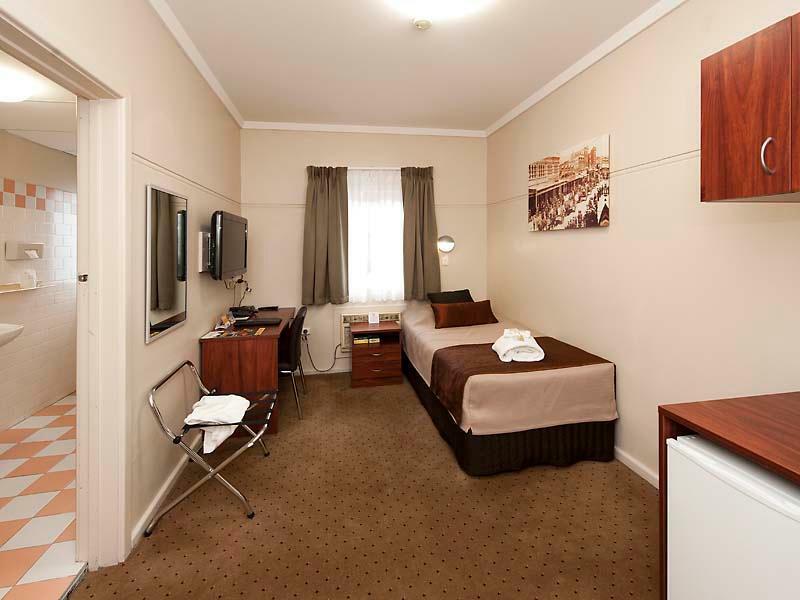 The hotel is located in Perth CBD. 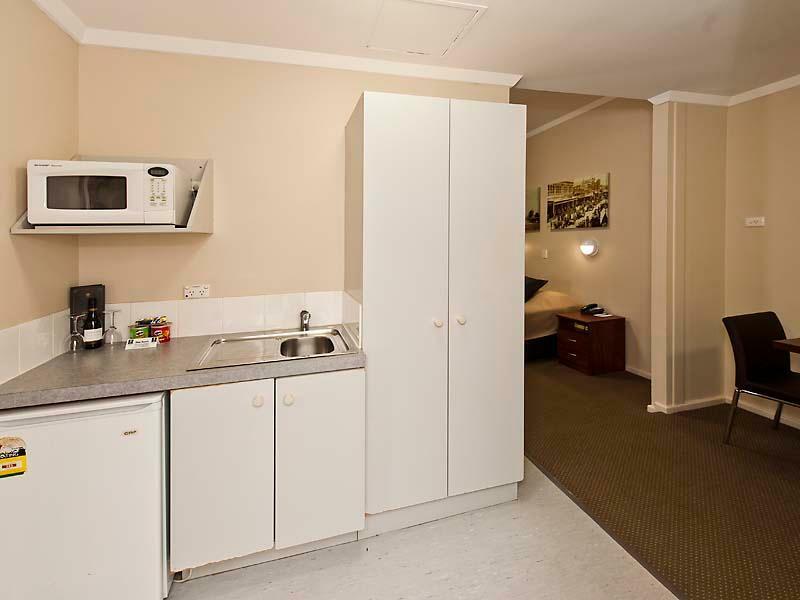 Walking distance to shopping malls, shops, pub & bistro. 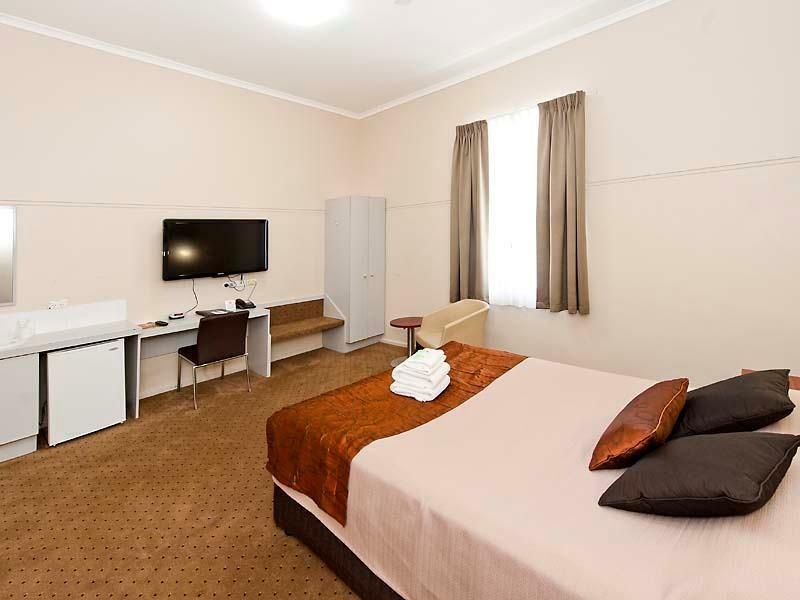 Perth Underground is just opposite the hotel make you easy to Fremantle & Mandurah. 5 minutes walk to Northbrigde where you can find many Asian restaurants which open till late. The Boheme, pub at the hotel ground floor open till 1am on Friday & Saturday night is quite disturbance which you can hear the loud music and people shouting & laughing. It will not be a problem if you sleep late. We are staying in suite which has a living room & a pantry for easy cooking. Overall we are happy and satisfied to stay at this hotel. Location is superb. Staff are helpful. Room size is adequate. 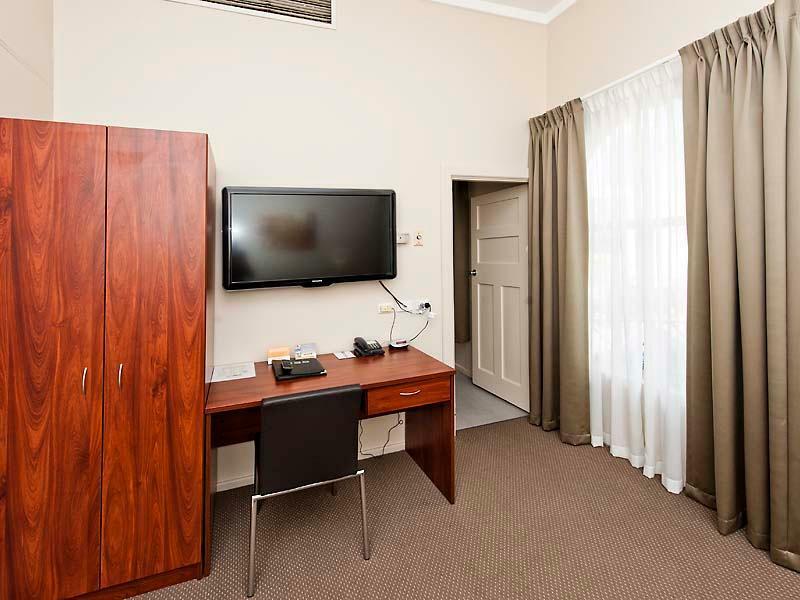 Good stay for weekdays with access to everything you could possibly need in the city area. Families with young children may want to avoid weekend stays because thumping music plays till abt 1am. Sheets could be cleaner. Other than that, it was a good stay and worth the money. Superb Location! Fast Internet. Superb Location. We booked for 3D2N but have extended to 8D7N!!! Still staying here while writing this review. Very strategic location. Perth Underground is across the road. Shopping malls all around. The CAT free buses stops here.Transperth buses commute in front of the hotel. The Xmass Parade was a walking distance away. SO many things around this hotel. And with the public transport being so close, we have already traveled to Fremantle and Mandurah. Will be exploring a few more places these few days here. Really worth it. Highly recommended. For Asians, KFC and McD are around the corner. Many Asian restaurants around here as well. triple bedroom was nice, spacious and clean for us (couple with 1 toddler). shared bathroom for woman is just 1 step away from the room and i did not hv to wait to use it. location is perfect for shopping. bus stop is just in front of the hotel. Great location and our room was lovely. Its an old building but it is clean and comfortable. We had a living room, small kitchenette, bathroom and a large bedroom. Very clear and very comfortable. Didn't hear any of the other guests at all so very quiet too. I booked apartment, twin room and queen bed. I think it is good to book apartment instead of the others. It has mircowave, and better kitchenette for those who need it! I think for muslim, you need to bring your own (cebok) to use whenever you wanted to go to the loo/toilet! location is good if you are visiting or shopping around the city as it near the railway and some free city bus around the location .Room are nice and clean . Not ideal if you have a car as they do not have a parking space at the hotel and the parking at the shopping building there maybe be quite costly. Love this place! Perfect location in centre of city. 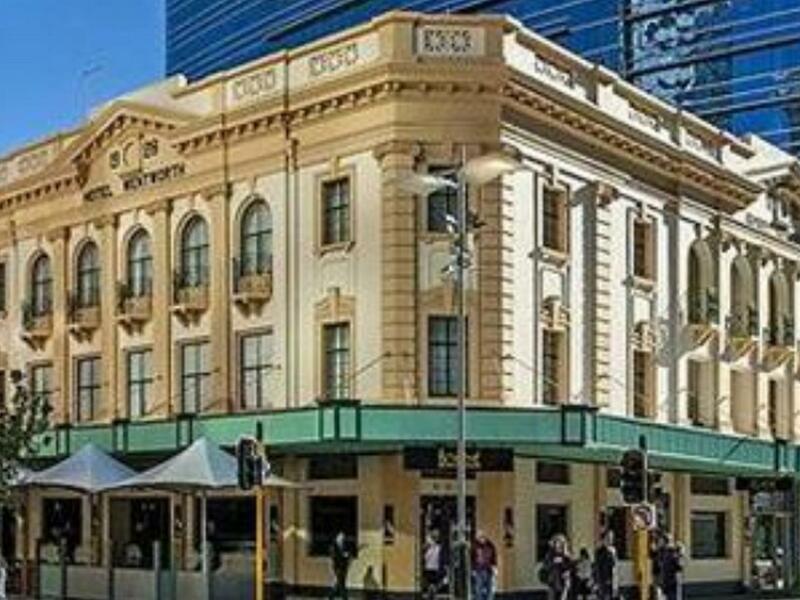 Old Hotel, nice and clean, can have a lot of street noise as our room opened to the street which was near Hay Street Mall, so bring ear plugs if your a light sleeper. Short walk to shower & toilets. Felt very safe in this hotel. Staff helpful. Taxi ramp outside door. My second stay and was given room on second floor. We booked a 2 bedroom unit and the shared bathroom was in the master bedroom. Thus, my parents who stayed in the master bedroom did not enjoy privacy at all as we need to use their bathroom at night and they had to wake up and open their bedroom door in order for us to use the toilet. Located next to Murray Street/Hay Street mall. Next to Perth Station/Underground. Close access to bus stop for CAT buses on Murray Street and Wellington Street. 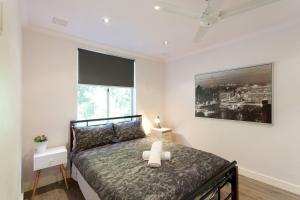 Within walking distance of Perth Arena. Rooms recently upgraded and retains hotel character . Pantry with toaster, microwave, mini-fridge, mini kettle, plates & cutlery. Useful for making simple meals. 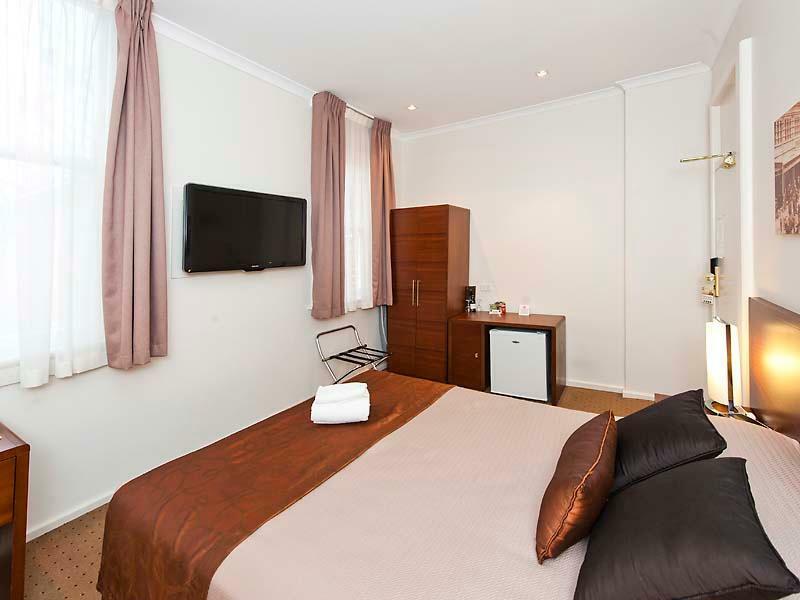 1 Queen/double beds + 2 single beds with 1 attached shower/toilet in two-bedroom unit. Extra pillows provided. Helpful and wonderful staff. The stay was good in Wentworth Plaza Hotel as the receptionist was friendly and helpful. I had overlooked that there was no carpark in this hotel but luckily I was able to buy a parking coupon in the building next to Wentworth. The location is very convenient for shopping and eating. My wife and I stayed one night in Wentworth Plaza Hotel. 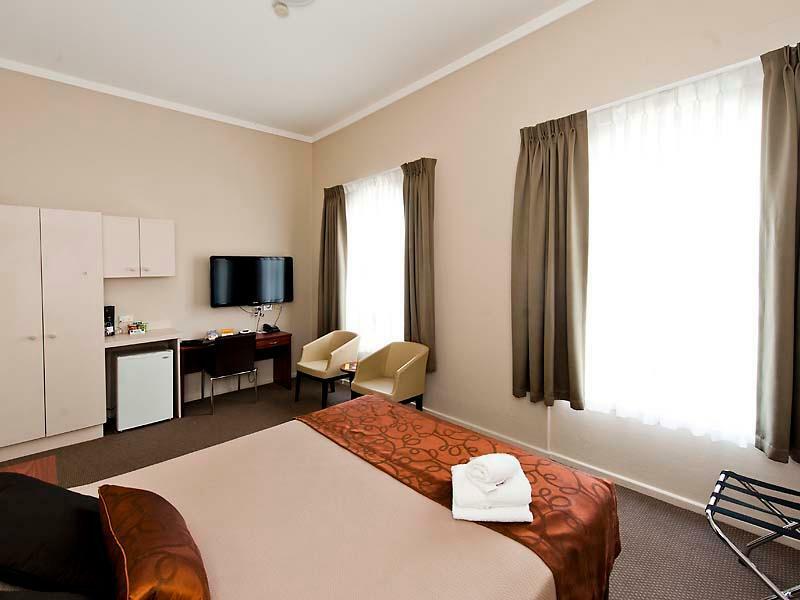 The hotel is centrally located, the hotel is very friendly and helpful. The hotel offers inexpensive rooms with shared bathrooms. The bathrooms were clean and in good conditions. Highly recommendable. City Location. Old Worldliness, Close to train stations and free CAT transport around city and its immediate suburbs. I always love staying at this hotel. Its central city location is great. I can walk from the train with my suitcase comfortably. There is a taxi rank right outside and the fare to the airport is about $30 - $40 depending on traffic and time of day. Great pub (Moon and Sixpence) next door. It's good except the flooring that really needs some renovation. Every time you walk on it, it will definitely make some noise which sound like some horror movie. Besides that, everything else is good. You can even leave your luggage in the hotel after checking out which is a plus point. Location was great. My husband and I enjoyed our very first weekend away without the kids, the hotel was warm and very welcoming, the room we had was clean, comfortable and had everything we needed. We dined every night in the Boheme and the food was absolutely delicious. The staff were all so friendly and welcoming. 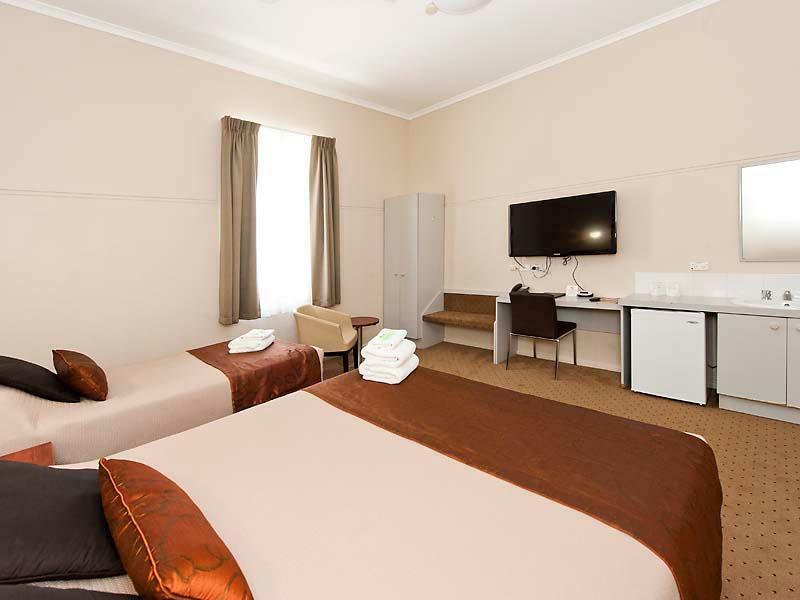 Not one complaint here at all, we will definitely recommend Wentworth Plaza to any of our friends or family who want to come up to Perth and stay somewhere central. I have stayed before & enjoy the service from staff & found my stay comfortable, unfortunately if your a light sleeper, some rooms are exposed to noise from outside, if they can't accomodate a room change, get some ear plugs. Itchy bed, I got 3 big bites, terrible. Long walk from the lift, hav to request for wifi password. I'd reconsider seriously to take this hotel for next visit because of the bed. If yes is only due to the location.